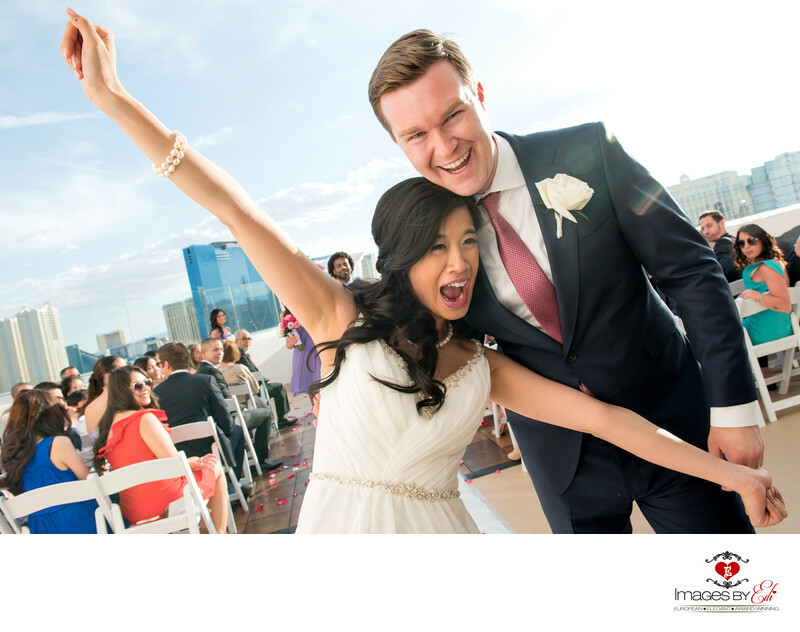 The Platinum Hotel & Spa Las Vegas rooftop is a magical place to have your wedding ceremony. The 17th floor rooftop terrace overlooks to the Las vegas Strip. You feel like you are in the clouds. Thats how this couple felt after they said their I do's. Excited and happy.